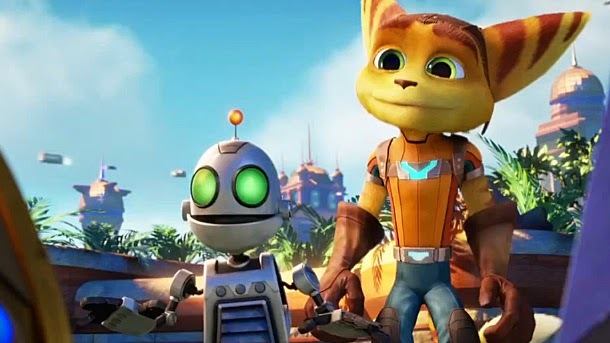 Sony had alot to offer this E3, but shaking things up from the monotony of video games, Sony surprised everyone with a trailer to the upcoming film "Ratchet and Clank: The Movie" based on the Playstation exclusive game series ,"Ratchet and Clank". A new re-imagining of the original Ratchet and Clank game is also being worked on, planned on a 2015 release to coincide with the film. Be sure to catch Ratchet and Clank: The Movie on the Playstation Network early next year. Great! I was thinking about adding something nice to my watch list. After I finish watching shows by Andy Yeatman, I am definitely going to add this movie to my list. My friends and cousins are coming over on the coming weekend and I can have a good time watching this with them.